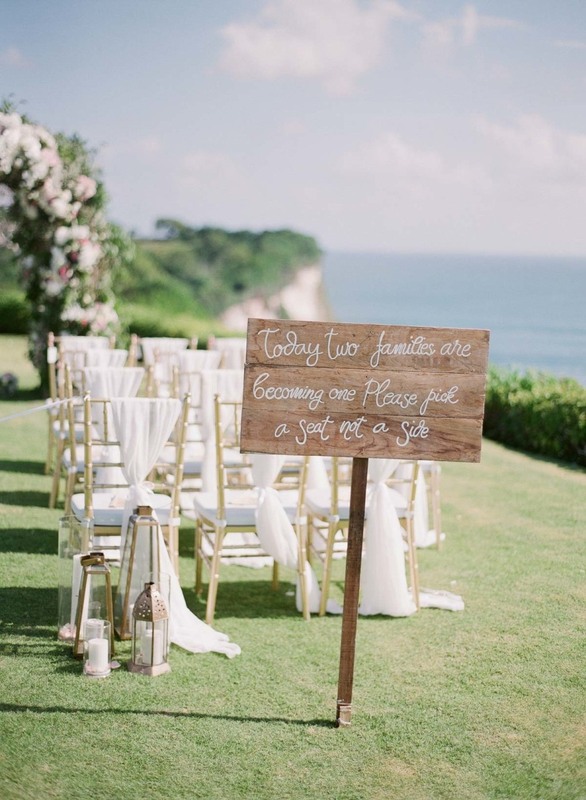 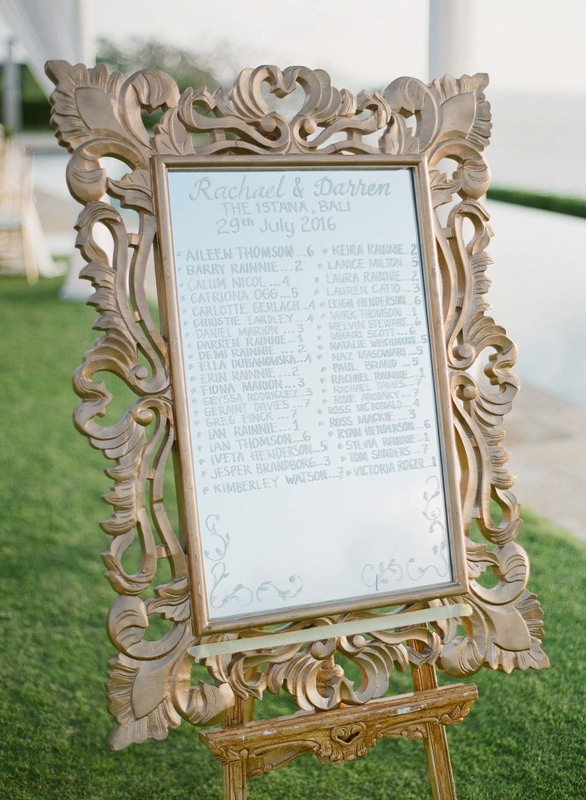 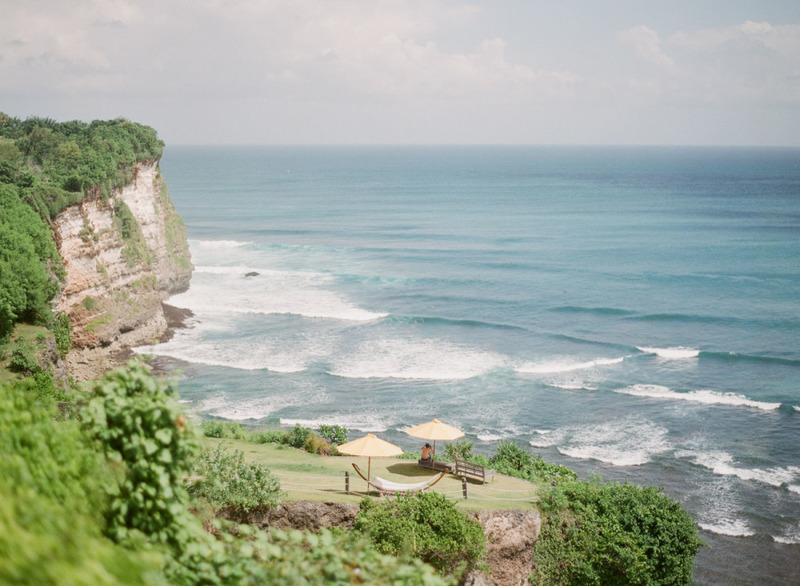 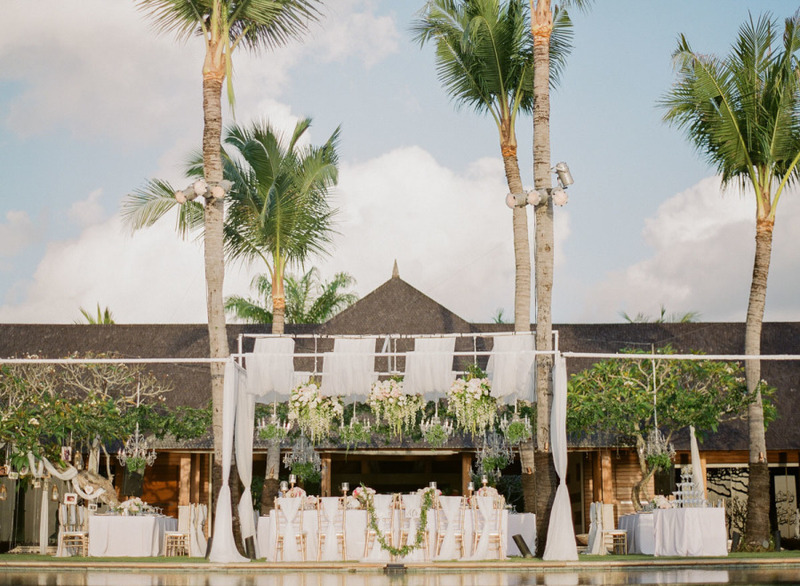 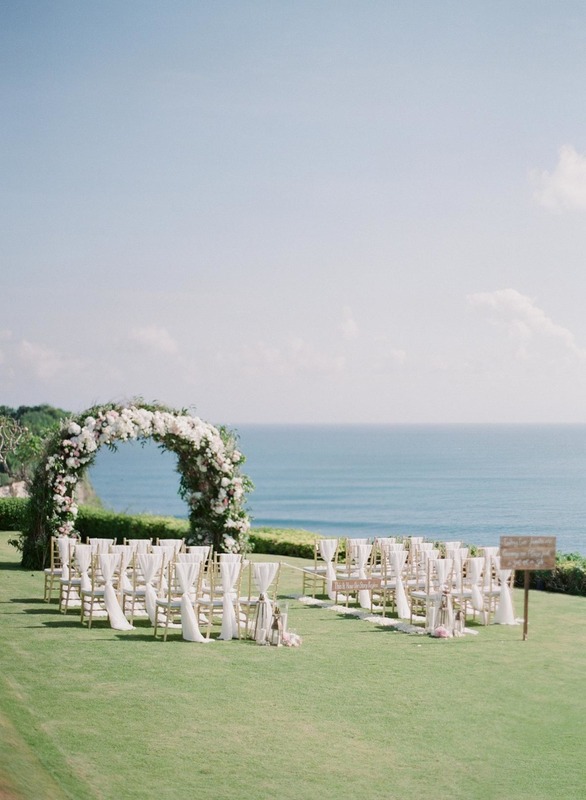 Some of us only dream of a tropical destination wedding — but this beautiful couple had their real life fantasy overlooking the scenic ocean views at luxurious The Istana Bali. 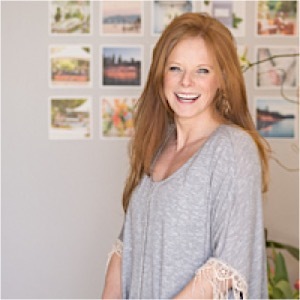 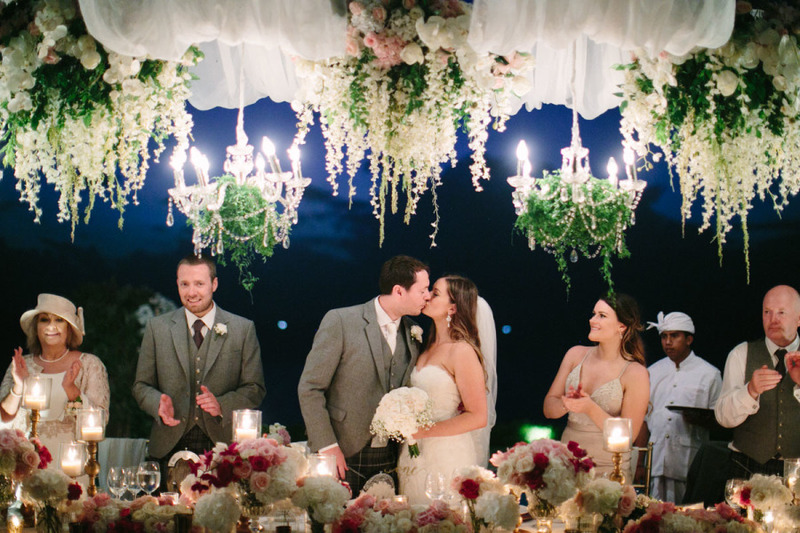 Destination photographer Greg Finck Photography was there to snap every stunning moment of this seaside celebration. 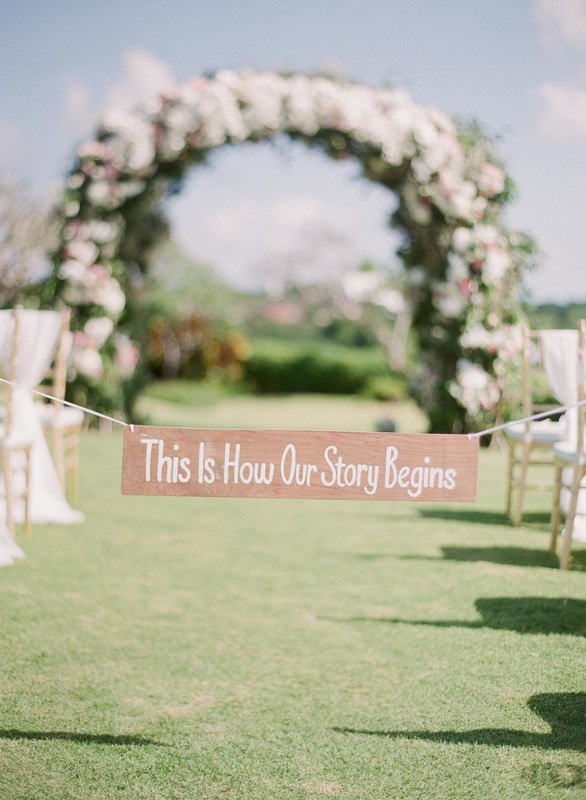 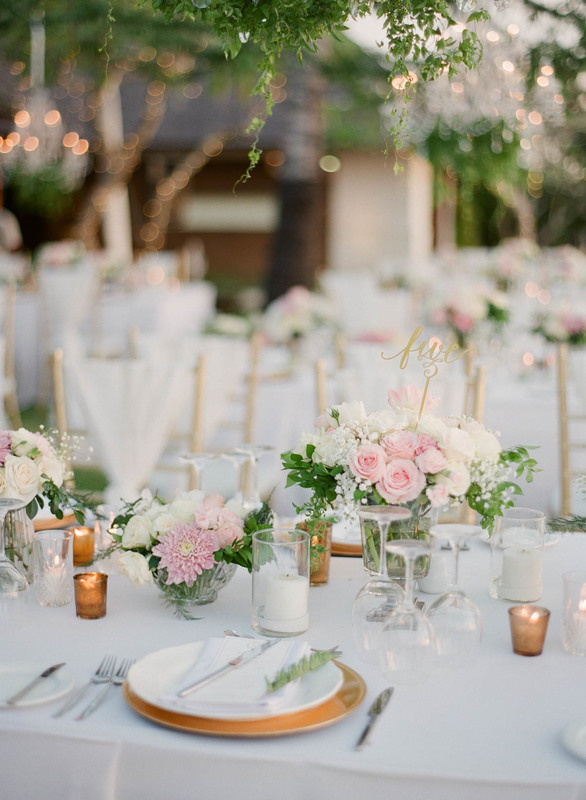 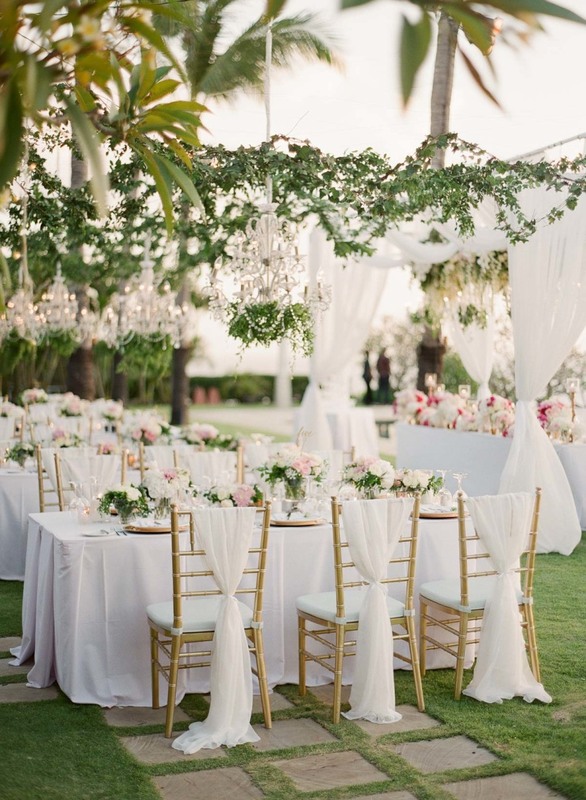 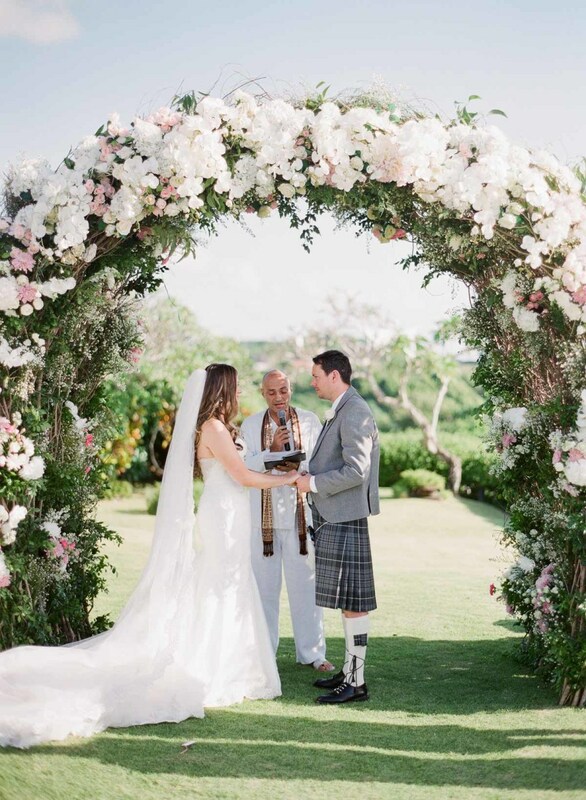 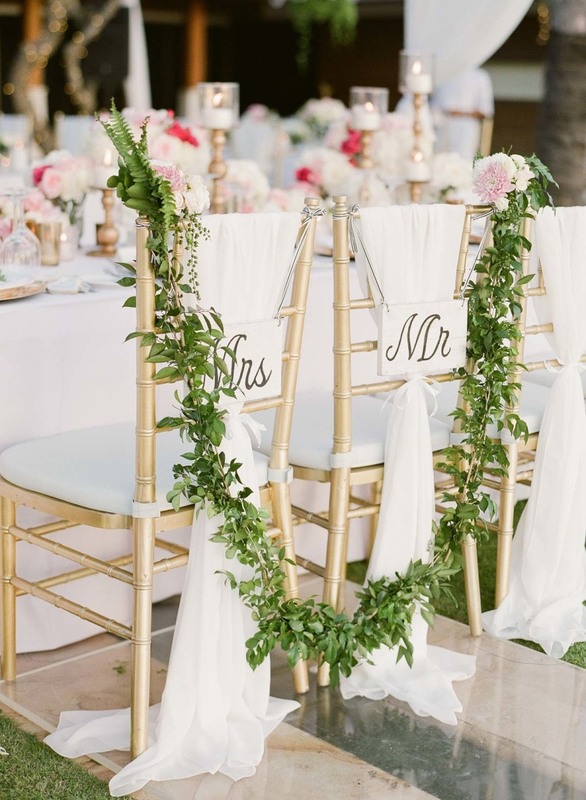 Starting with the breathtaking ceremony arch with green and white and pink flowers, this gorgeous affair maintained a chic, magical garden theme throughout, including romantic local flowers from Bali-based Gloriosa Flowers. 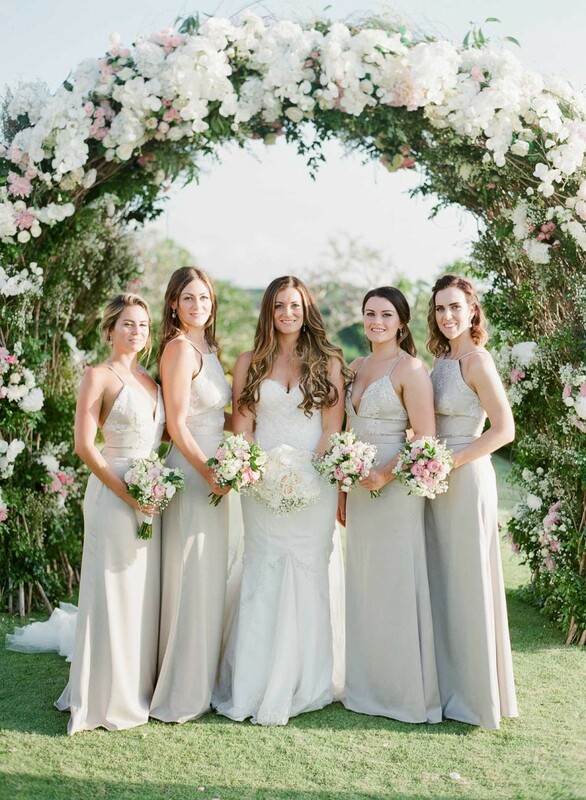 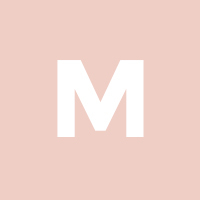 The bridesmaid stunned in pale grey gowns next to the glamorous bride, keeping the color scheme soft and elegant. 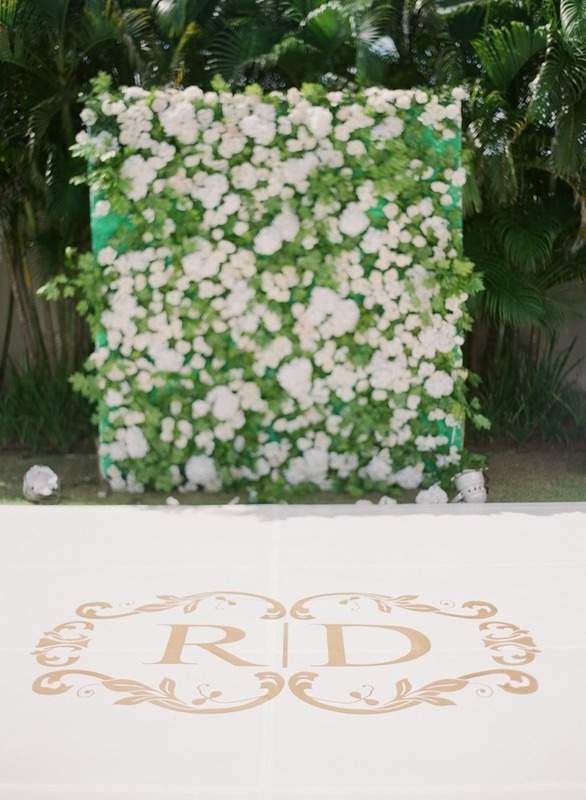 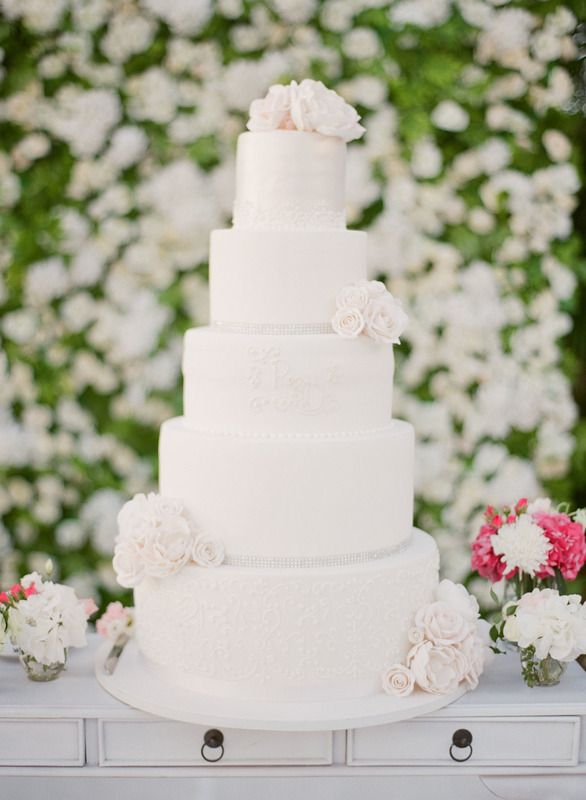 The reception was all about love, but didn’t shy away from glamorous elements like sophisticated chandeliers, classy centerpiece decor and a standout green and white backdrop for the cake. 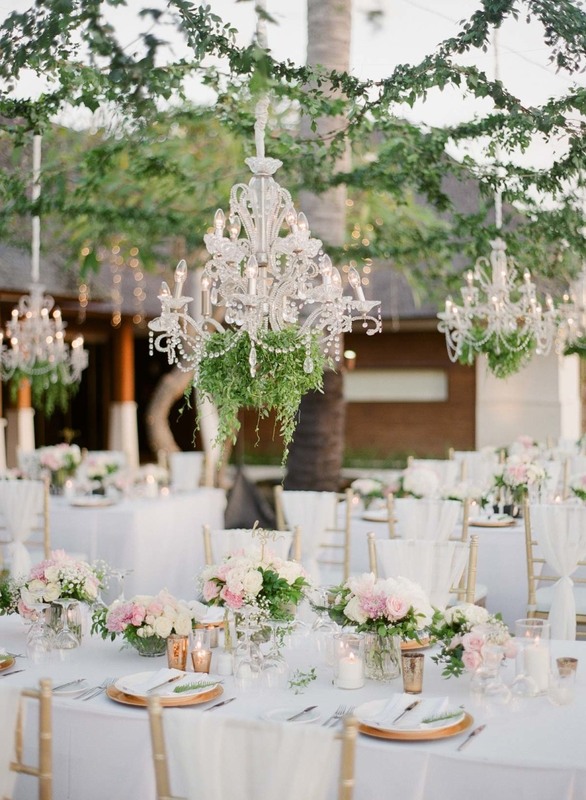 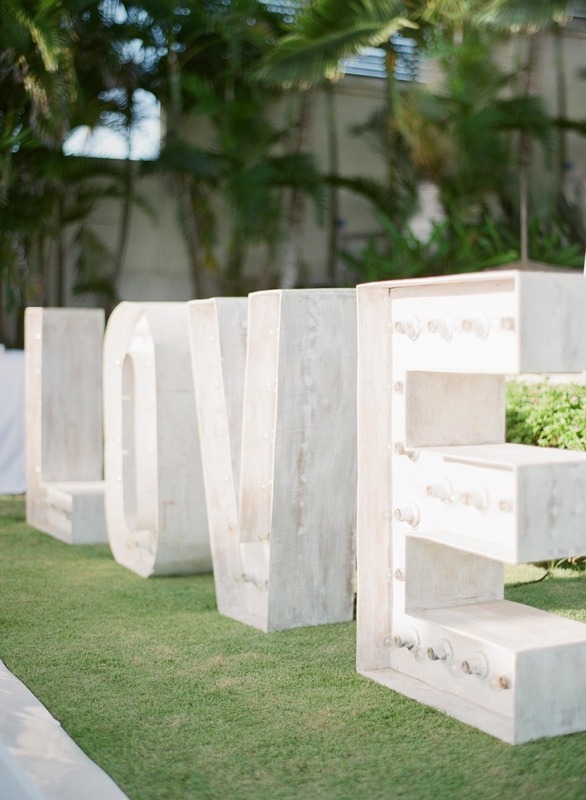 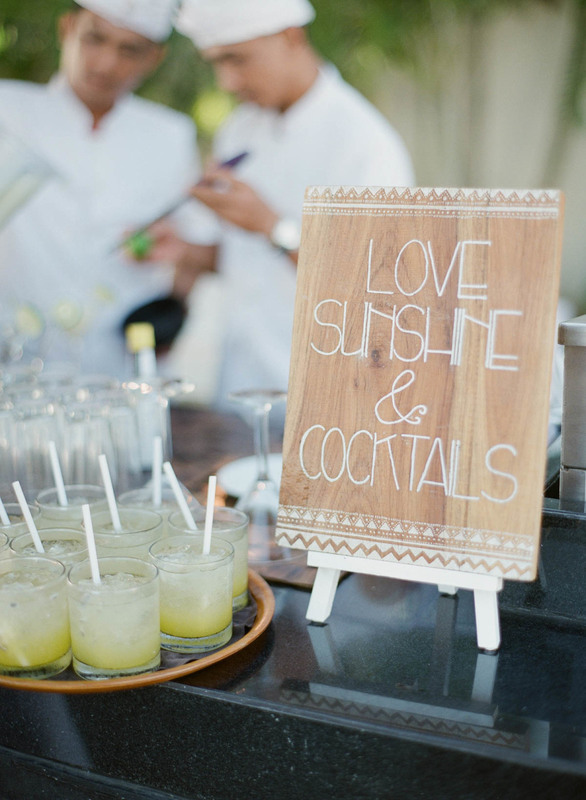 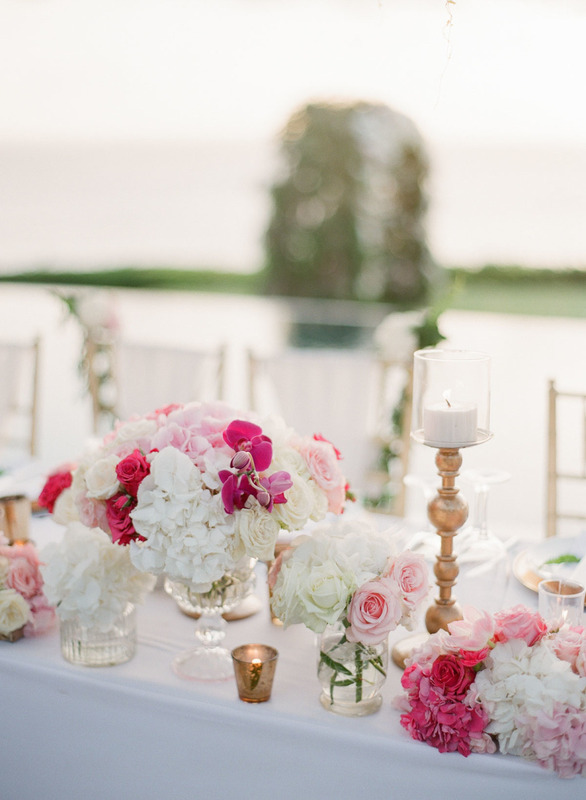 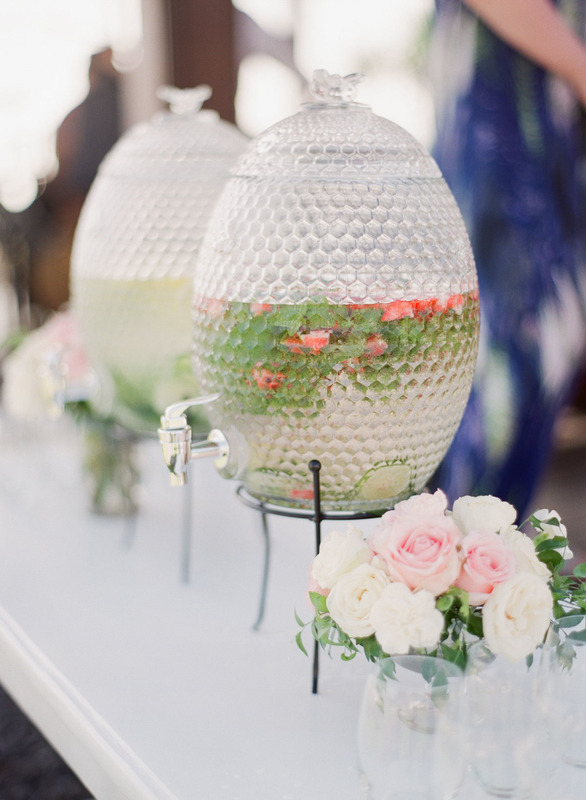 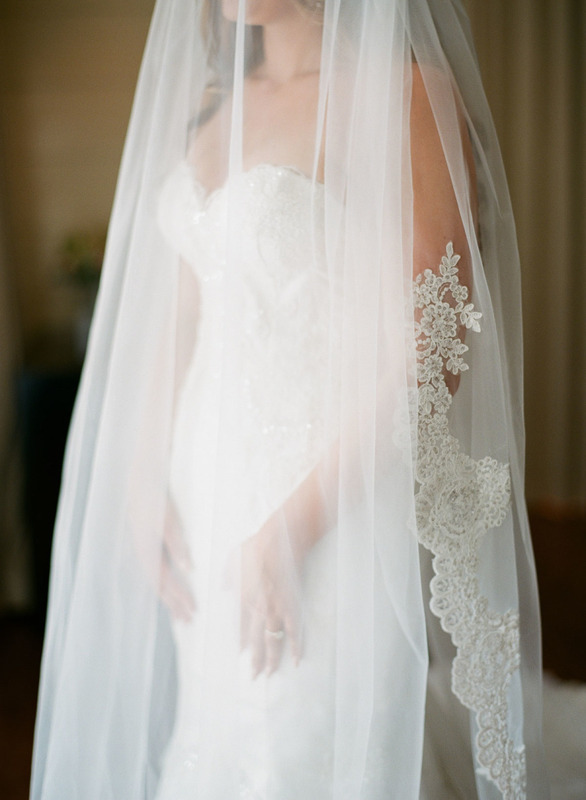 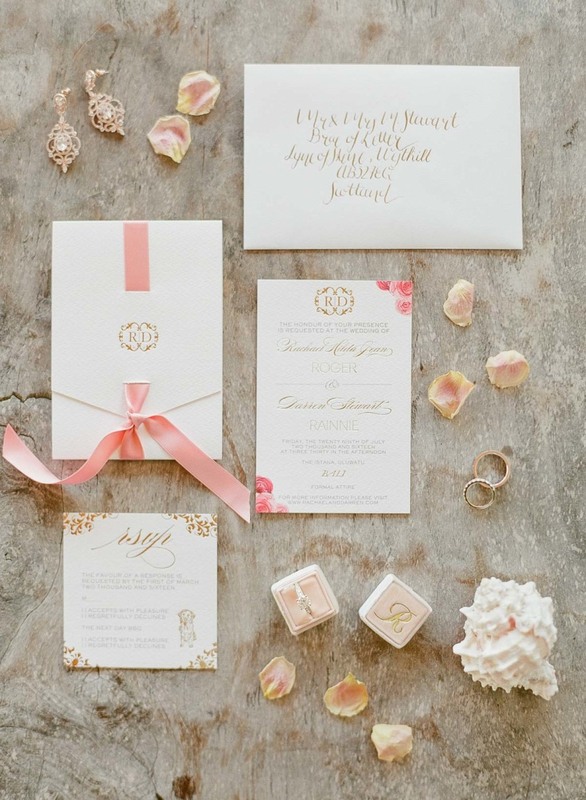 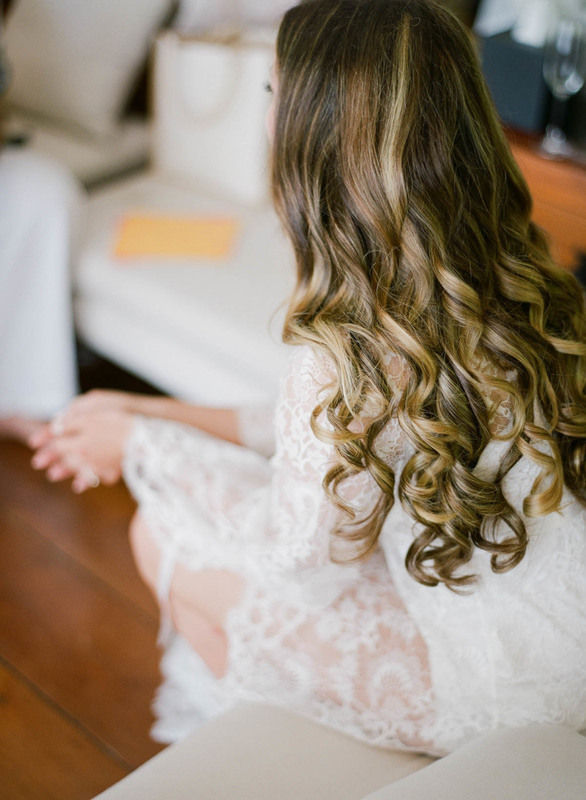 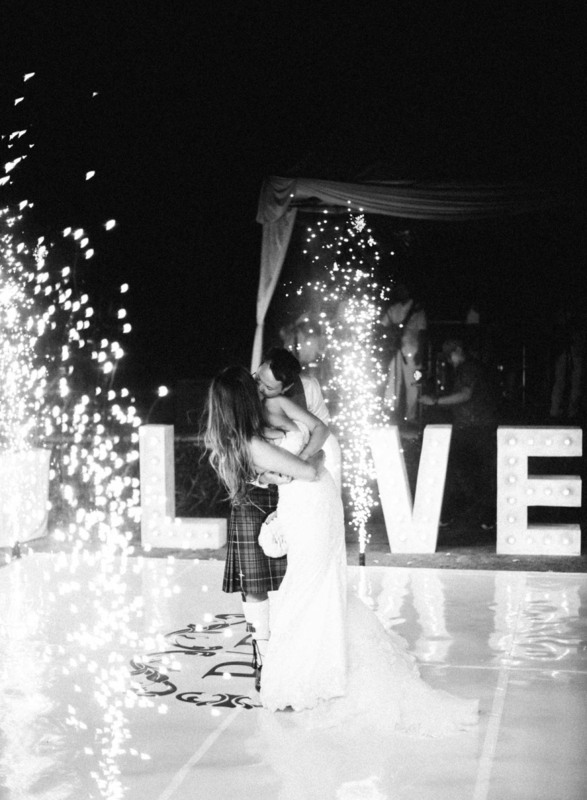 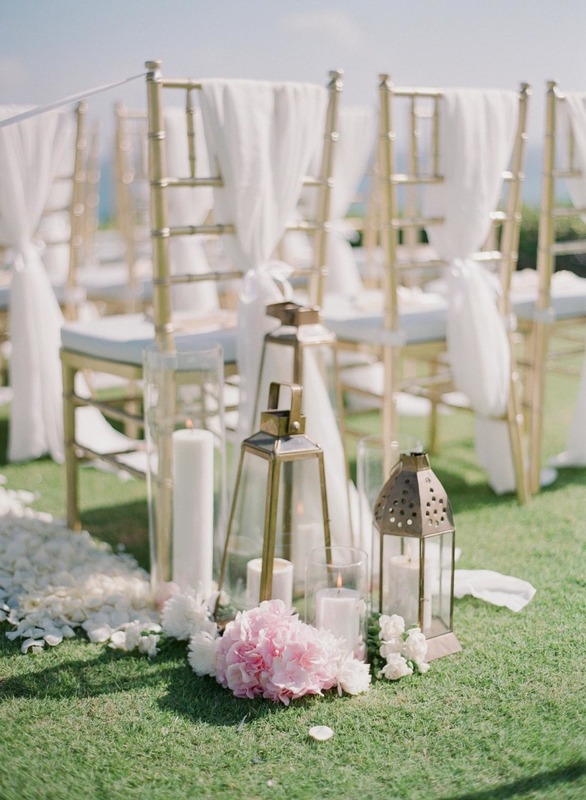 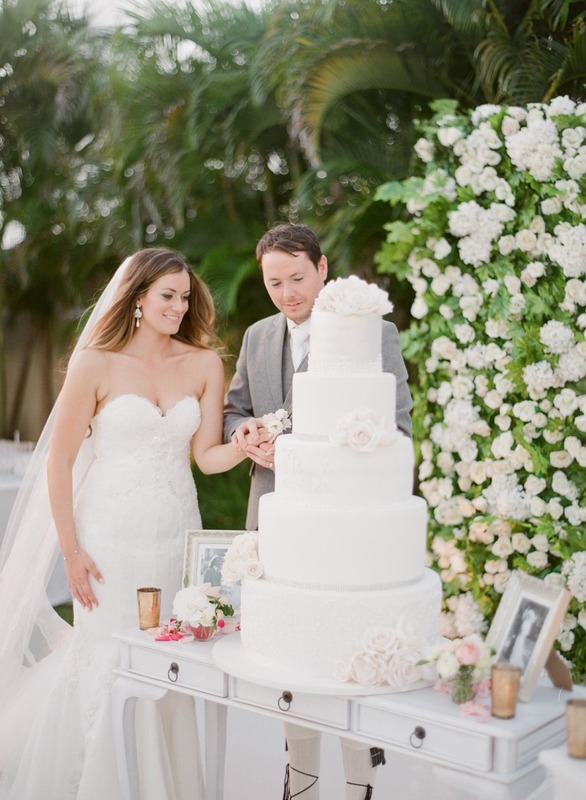 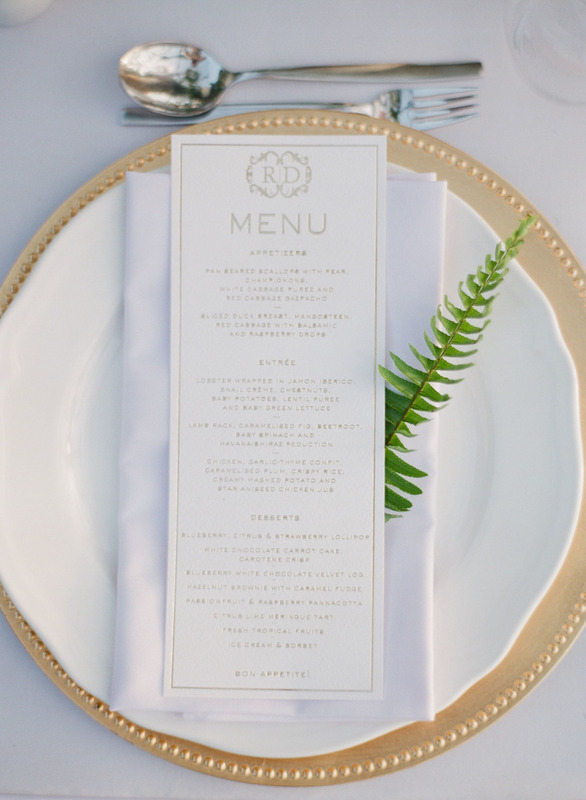 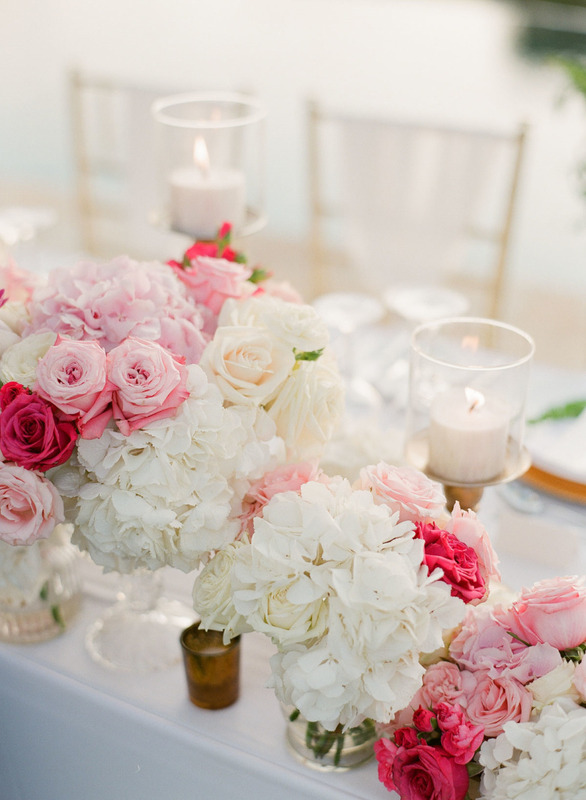 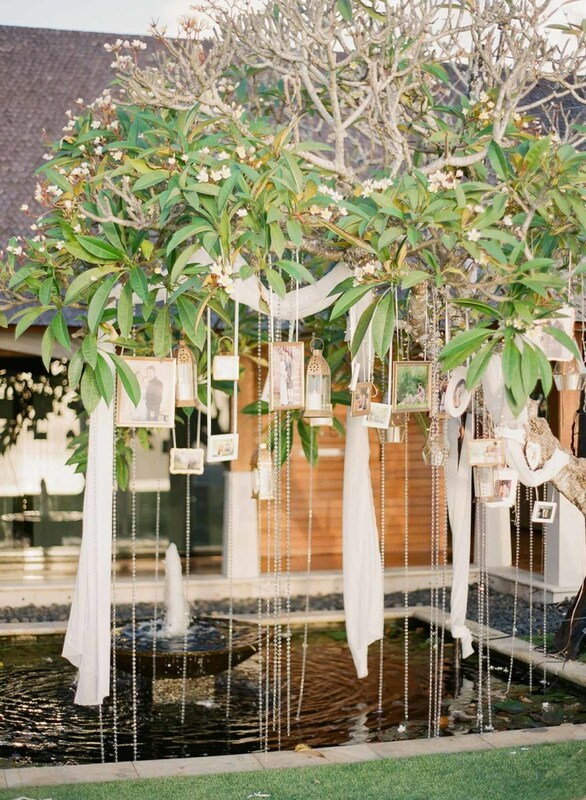 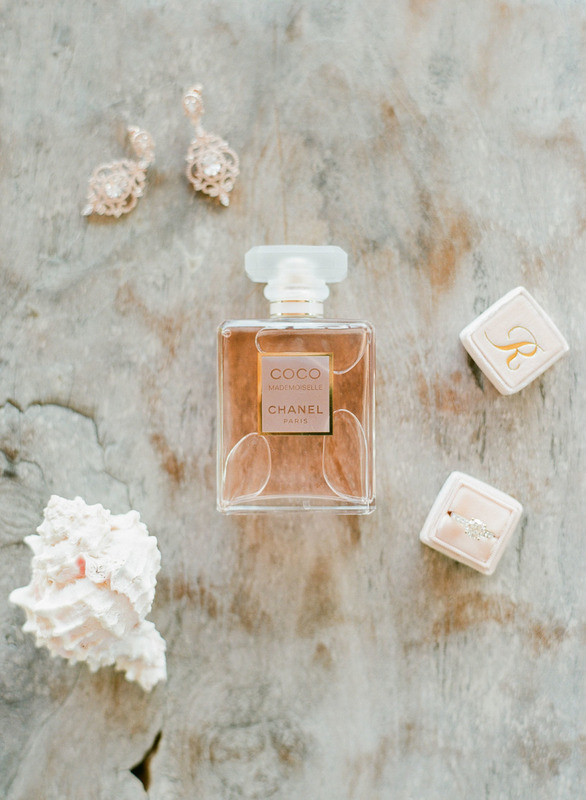 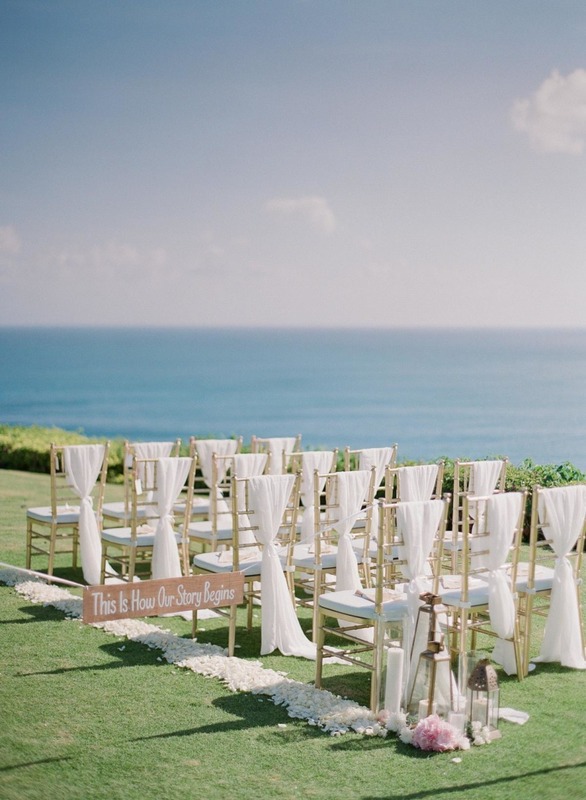 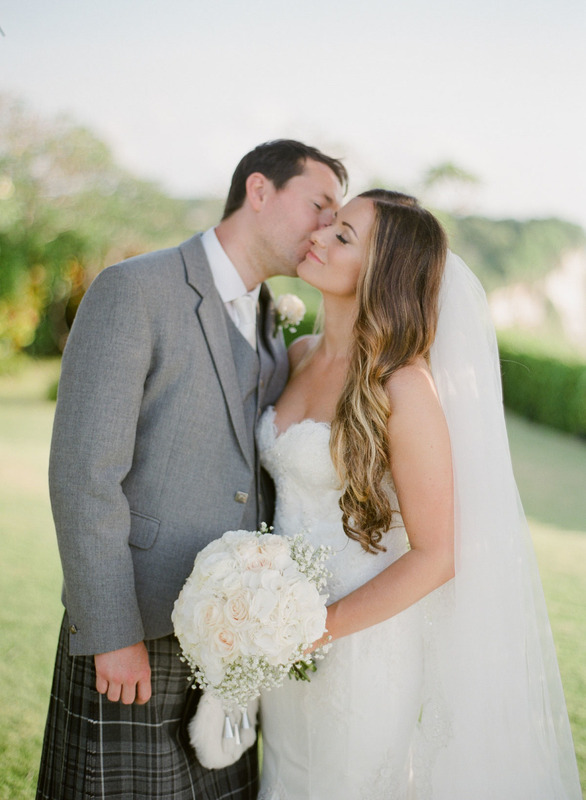 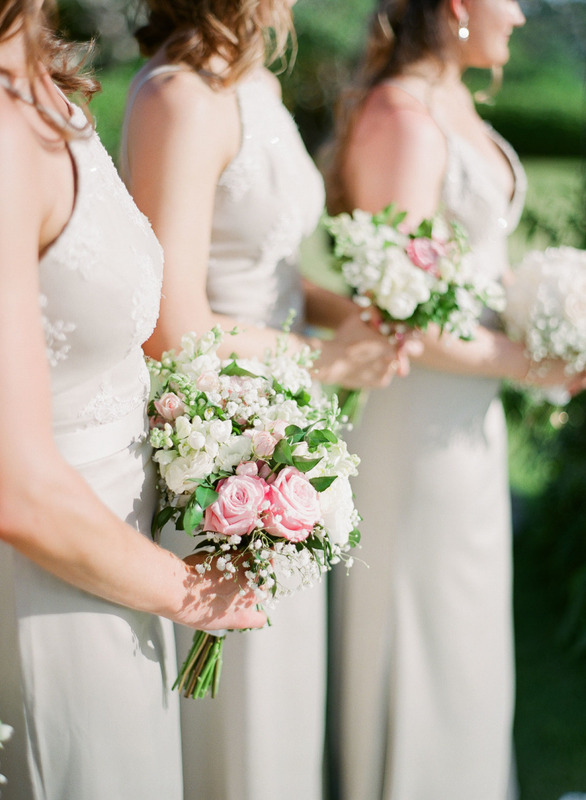 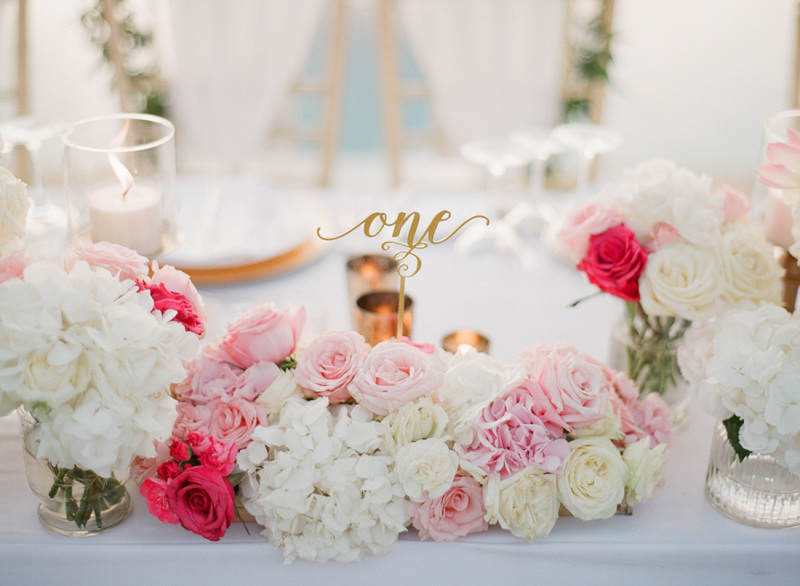 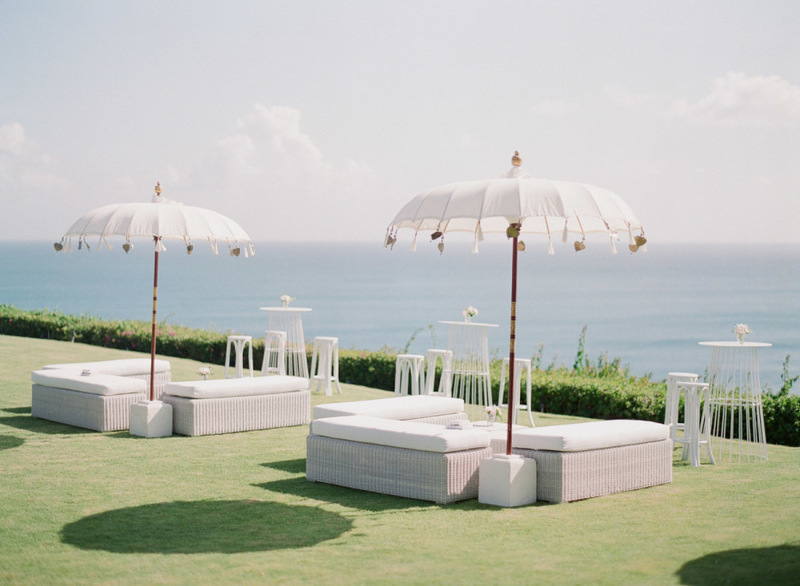 There’s nothing we didn’t enjoy from these photos — scroll down for this destination wedding!